Michael Stanley is the writing team of Michael Sears and Stanley Trollip. Both were born in South Africa and have worked in academia and business. Stanley was an educational psychologist, specialising in the application of computers to teaching and learning, and is a pilot. Michael specialises in image processing and remote sensing, and teaches at the University of the Witwatersrand. On a flying trip to Botswana, they watched a pack of hyenas hunt, kill and devour a wildebeest, eating both flesh and bones. That gave them the premise for their first mystery, A Carrion Death, which introduced Detective `Kubu' Bengu of the Botswana Criminal Investigation Department. It was a finalist for five awards, including the Crime Writers' Association Debut Dagger. 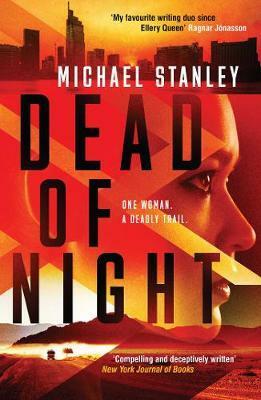 The series has been critically acclaimed, and their third book, Death of the Mantis, won the Barry Award for Best Paperback Original mystery and was a finalist for an Edgar award. Deadly Harvest was a finalist for an International Thriller Writers' award. A Death in the Family and Dying to Live are the latest in the Detective Kubu series, published in 2017 by Orenda Books.